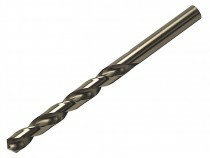 A full range of Dormer A777 HSS-Co cobalt jobber drills. A heavy duty metal drill bit, widely used in the building and engineering industry, specifically for heavy duty applications. The Dormer A777 drill bit is made to DIN 338 specifications, has a 135° drill point and a straight shank.